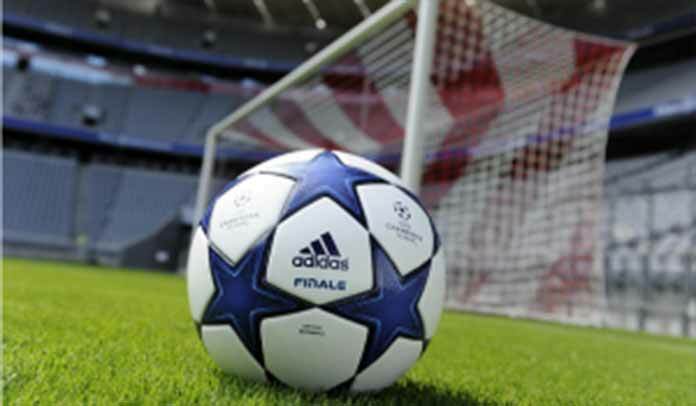 It is very interesting that most Nigerians are now with the consciousness that soccer sports betting are not strictly for the lazy and jobless, rather as­­ something for anyone with responsibilities. A large percentage of prediction website gives profitable tips free of charge. They assist in giving you some assistance in analyzing the teams and the different leagues, as it will be very stressful looking up these leagues individually. Some football prediction websites offer predictions with the percentage of possible outcomes, thus informing you which you should possible stake high on and that you should go minimal. Live betting is the best option, and that one of the shortcomings of these websites. These websites cannot predict certain factors like individual player fitness, weather conditions, and pitch conditions. The algorithms used in making prediction are not open source, so there is no telling how accurate it is at the expense of losing your investment. Some of these websites behind the scenes work with betting companies by putting out wrong predictions for the profit of the betting companies. After all, they will hide under the guise that nothing is certain in sports prediction. It is no news anymore that punters globally are resorting to acquiring prediction to sporting events from dedicated websites. A high percentage of these websites depend on strictly statistics, few make use of specialised software that relies on statistical algorithms. Practically, all these websites have a precise prediction percentage of over 49% and they offer betting tips on all the major leagues around the world. This article is centered on highlighting the best bet football prediction websites that are used daily by a good percentage of Nigerians for sure winning. Globally, windrawwin is without a doubt one of the most visited prediction sites. If you glance through the browser history of any Nigerian punter mobile phone, Windrawwin is one website you will come across. The win rate of the punters using this website is over 85%. All you need to do is select from their long list of daily predictions and place single bets on them. This is a very wonderful sports prediction website. One thing that makes Soccervista distinct is its exclusive statistical analysis. They give a detailed analysis of the recent statistics of the different leagues and teams to the full satisfaction and delight of any punter. On a daily basis, Soccervista offers its users star prediction. It is important you know that their star prediction games with low odds have a win rate of 80%. This is a very popular website that offers predictions from over 250 leagues globally. The win rate of the predictions offered is very high. It is important you are aware of how the predictions are generated from in-depth statistical research analysis. Majority of Nigerian punters make use of SoccerPunter for all their comparisons, analysis and predictions. This website is regularly visited and highly trusted by many punters for football betting tips. The win rate of their prediction is about 78%, however, you need to be very cautious when placing bets. Betshoot offers soccer games predictions daily and the percentage of their current prediction is about 90%. When placing bets on this website, there is a high tendency that you may be tempted to place more bets, because of the high number of accurate predictions. However, modesty is advised because nothing is certain in any sporting event. Zulubet is popular among the punters and it offers free combos and picks daily. On their website, there is a live score feature embedded, so their users can monitor football matches score lines without any hassle. When you go through the predictions offered on this website, you will be surprised at the number of precise outcomes. The percentage of correct predictions offered by Solopredict is about 75%. They feature over 200 minor and major leagues around the world. It is important you are aware of the fact that they gather their prediction from a dedicated high-algorithm software that relies on the history and statistics of the different teams. Forebet is among the most visited websites and it is one of the favorites for every Nigerian Punter. They offer prediction highlights on the different sure bets across the different leagues in Europe, Africa, Australia, North America, and South America. The predictions on Forebet range from the number of goals, scorers, handicap, double chance and the team to team either halves of the game. Just as the name implies, Statarea offers its prediction from an in-depth study on statistical data. It is advised that you do not get greedy when using the tips offered by combining lots of games. On their website, you will find up-to-date statistics and recent forms of the different teams. There is no doubt that this is a very unique website. It offers predictions of soccer games for the various leagues around the world. In addition to the soccer predictions, you will find predictions for American Football and football pool draws. You can make a profit from their prediction, but just like mentioned earlier, being greedy is not a good practice. This website’s precise prediction percentage is about 70%. They offer decent sport bets predictions. Though it is not as popular as some of the websites mentioned earlier, their accurate predictions are astonishingly high. On their website, you will find an updated and very fast live feature embedded. Futbol24 features a very swift football live results of the different games around the world. When making predictions, this website is a very useful tool in viewing live scores, comparing statistics following fixtures and much more. I implore you to please take note of the fact that you have to avoid being greedy when placing bets and also stick strictly to your estimated betting budget. It is important you are aware of the fact that there is no 100% assurance on any of the aforementioned, so in order to minimize losses, place bets responsibly.